I write this post to answer some questions I have been asked by applicants and prospective admission seekers in the 2019 UTME. I don’t have answers to that for now. You can subscribe to my blog for any of such updates in the future. You will also find the following information useful for yourself or people around you. 1. Can I use last year profile for the 2019 admission? Yes, you can. But not recommended. Because of a series of misunderstandings or mix-ups that may crop in during the admission exercise, I advise you create another profile for this year UTME. All you will need is a new email and phone number different from the last one used. If you choose to use the old profile, you just need to copy out your profile code to buy the new form. This will work fine if you prefer it. 2. Can I use last year email for the year JAMB profile? If you are using the old profile code, it has already been attached with the old email. So, you don't have option to use a new email. If you decide to create a new profile, however, you can (should) use another email along with another phone number. 3. Can I use the same phone number used last year? The phone number is valid for this year admission activities. You can therefore use it to get your new profile code by sending your FULL NAMES in correct order to 55019. Meanwhile, if you use the old phone number, it will force you to use old profile. In other words, you will be given the same profile code sent to you last year if you request a profile code through 55019 again. 4. Can Two Applicants Use the Same Phone Number to Get Profile Code? JAMB warned admission seekers not to use the same phone number with their friends to get his profile code. This is because once a candidate use the line to get code, his or name has been tied to that number. 5. Can I use my parents or relative number to Get profile Code? You can use your mother's or father's phone number to get JAMB profile code. Nothing is technically wrong with that. What is important is you don't use a number that has been used for JAMB in the past or this year for another candidate. 6. Can I buy JAMB form myself online? You must however, understand the procedures to follow. Else, I advise you use the service of a cyber café (form sales only) or CBT centres for both sales of form and registration. 7. How can I buy UTME/DE form online? First, send your full name in correct order to 55019. Make sure you have at least N50 credit on your line. You will receive a profile/confirmation code after being debited with N50. Visit JAMB page to buy the form. Enter your the profile/confirmation code you received from the SMS. Proceed to enter your email address and payment stage. You will be required to make a payment of N4,000 through interswitch or Remita. Print the page and take it to CBT centre for your registration. 8. Can I buy my JAMB form and Register at a cyber café? Yes, you can buy form at a café. You can’t register there. Cyber cafés are allowed to sell JAMB form. They are not allowed to register for you but they can buy the form for you online. Hence, you can buy from them before proceeding to CBT centre for you registration. 9. Where else can I buy my JAMB form? Bank, NIPOST Office, CBT centres. But it will make their service fast if you can first generate or retrieve your profile code before proceeding to those offices. 10. How do I generate profile code for my JAMB. Send your FULL NAME in correct order (e.g ADEKUNLE SAMSON OLA) to 55019. Your will be debited N50 on your phone after which your profile code will be sent to you. If you're using old JAMB profile, kindly log into you profile with the email used and its password to retrieve your profile code. You can also send RESEND as SMS to 55019 using the same phone number used last year to recollect your profile code. 11. If I buy JAMB form now, can I register later? It’s not compulsory to complete your registration the day you buy the form or vend the PIN. You can go to CBT centres later for the registration. Be sure you go for the registration before the official closing date. That’s all. 12. 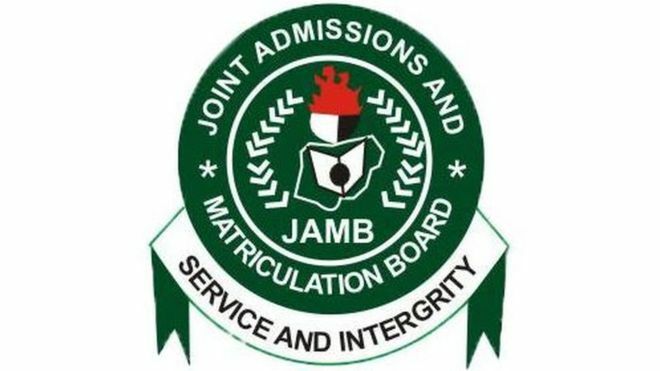 Can I use Awaiting Result (AR) for JAMB UTME registration? However, you must return to any CBT centre to reupload the result as soon as it is released and printed. 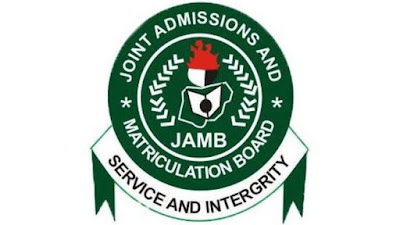 Read more on awaiting result in my post, "AWAITING RESULTS for JAMB and Other Admissions: What You Must Know" or "Direct Entry Candidates Applying With Awaiting Results (AR): What You Must Know"
14. When will JAMB CBT exams hold across the country? 15. When is this year JAMB form going to close? This year, the sales of registration forms to all candidates (UTME/DE) including those outside Nigeria, started January 10 and will end February 21 (now extended because of election). 16. I'm applying for DE. Can I use my recent UTME profile for Direct Entry Registration? In the JAMB guideline, direct entry candidates can ‘upgrade’ their UTME form to direct entry without buying new form. This will make you proceed to DE registration without paying for the form. It's free to upgrade to DE. The questions and answers section will be continually updated. Subscribe to this blog to receive such updates through your email. Share with others to help them from falling victims of errors during their registrations. Use the share link below this post for your convenience.